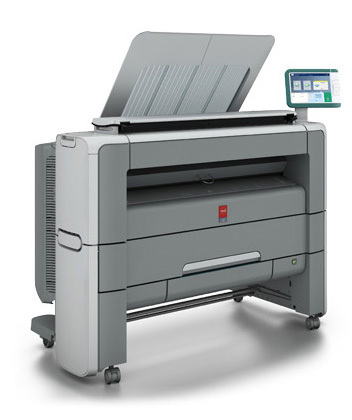 Highly configurable 1 or 2 roll large format printer and copier with optional integrated 600 dpi color/mono scanner. The Océ PlotWave 345 / 365 large format printer is available in a space saving single-footprint design. The top delivery tray incorporates air separation technology and neatly collates and stacks up to 50 E-size plots. Portfolio of security options for the printing system includes disk encryption, access management, and a removable hard drive.